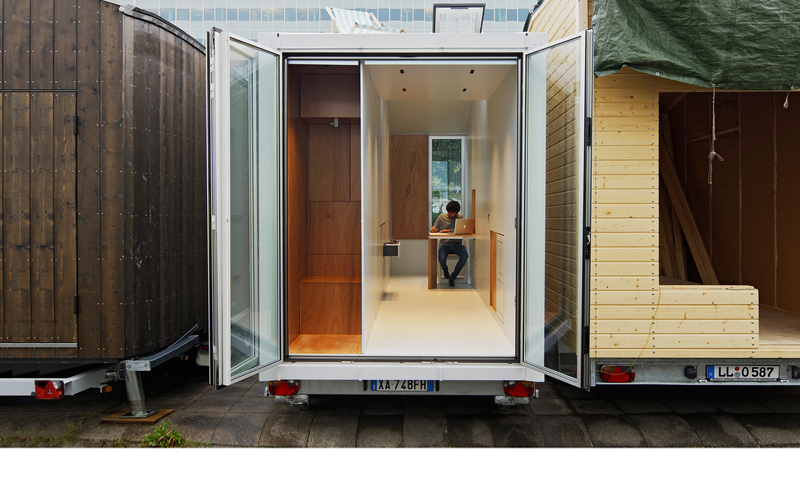 Named “aVOID“, it is the first mobile “tiny house” designed in the shape of a terraced house. Assembled on a trailer, the 9 sqm living space is fully equipped with every comfort integrated in a seemingly empty void — its namesake — where all the furniture is folded into the walls just like a Swiss Army knife. aVOID represents a real lifestyle characterized by a strong adhesion to minimalist principles, in the spirit of the “less is more” movement and a more sustainable way of living. The prototype was designed by architect Leonardo Di Chiara with the aim of creating a new housing model for the growing generation of urban nomads. After participating at Bauhaus Campus Berlin and with the aim of raising awareness among the public for the need to rethink our housing models, aVOID will be the protagonist of a tour starting in Berlin and ending in Rome (Berlin, Munich, Ulm, Milan, Rome). Tiny Talks, Guided Tours, Test-Living, Tiny Cooking and more happenings curated by Leonardo Di Chiara and the Tinyhouse University. aVOID opens its doors at Bauzentrum München in Messe District (04/04/2018) and then in front of the Pinakothek der Moderne in Munich (from 05/04 until 08/04/2018)! For the Munich stage of the “aVOID on Tour” another tiny house will join the event: the 35 Kubik HEIMAT from HS Rosenheim. Drop by for a visit and share it with your friends!